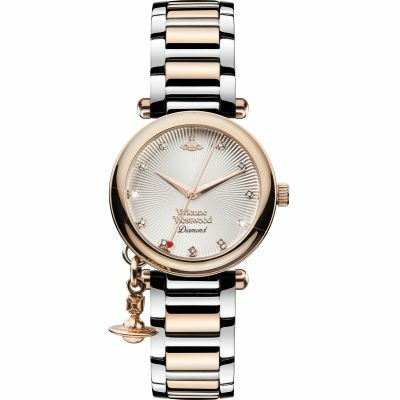 Ladies Vivienne Westwood Orb model in a chic stainless steel design. The silver dial is set with a heart-motif, silver hour markers and silver hands. it fastens on a silver metal bracelet with a jewellery clasp. 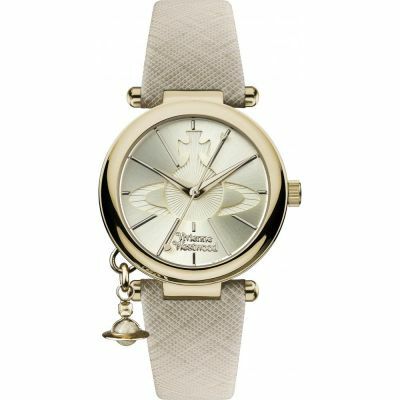 The Vivienne Westwood watches are all powered by a quality Swiss Quartz movement. 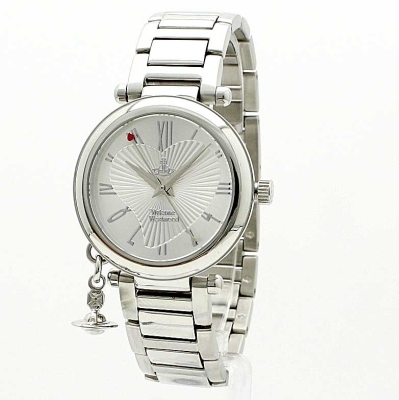 This model also features a charm attached to the dial. Very happy with the service ! Watch arrived next day as promised. will 100% use The Watch Shop again !!! Bought the watch online, delivery was great got it delivered next day. Waiting to hand it over as an Xmas present now! Lovely looking watch, thought it would weigh more given the brand and price and the clasp feels a little weak. Stunning watch and exceptionally fast delivery! I received my watch timeously and the watch is absolutely gorgeous. I took it into Goldsmith the Jeweller to have the strap adjusted as it was too big and this took around 5mins. Very pleased with my purchase and would recommend. 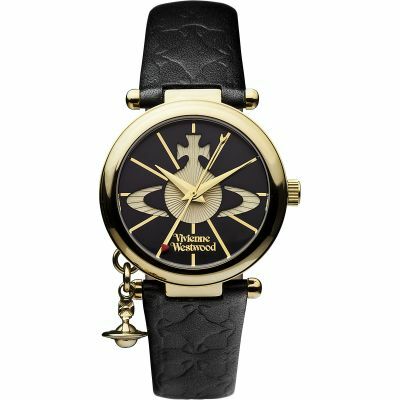 Saw this watch in a Vivienne Westwood shop and didnt buy it, went back for it and yes, it had been sold so I looked on line for it. Found it on a few sites but chose Watchshop because they had good reviews. I am highly delighted both with the service from this company and the beautiful watch. It is chunky but feminine, just the right weight to be comfortable on the wrist and the little orb is in the perfect position to hang without being annoying! The face of the watch is so pretty and the little red heart on the end of the minute hand just finishes it off beautifully. It arrived well packaged and in two Vivienne Westwood boxes. I ordered on the Friday evening of a bank holiday weekend and the watch was delivered on the following Tuesday, you cant get much better than that. Will definitely use the Watchshop again and highly recommend them and this gorgeous watch. Beautiful watch looks great on!! 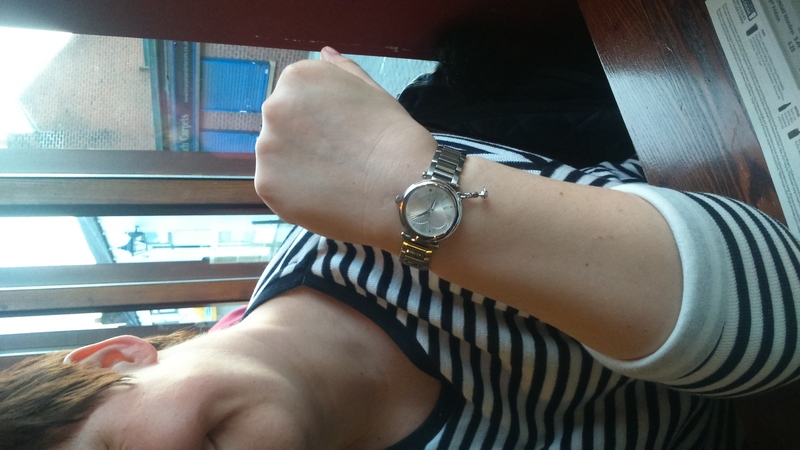 Lovely watch that was delivered to goldsmiths, the staff where very helpful and took some links out while we waited. Would definitely recommend. Bought as a birthday present very happy with it. Great service. The watch is beautiful. The price was very reasonable. Delivered very quickly in lovely gift wrapping. The watch was bought as a birthday present for my granddaughter. 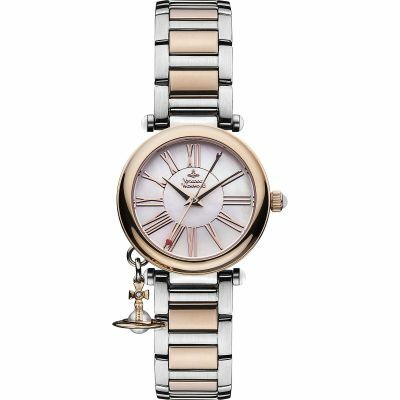 She is delighted with the watch and it is greatly admired by all her friends.The watch, with its classical looks, is even more impressive when seen than it looked in the photos and can be worn with any kind, and colour, of outfit. The bracelet has removable links that are easily removed and replaced. I love this watch, it looks great n is really stylish. Its not to big just a perfect watch overall. I would highly recommend it. Beautiful watch, beautifully boxed, my wife loved it. 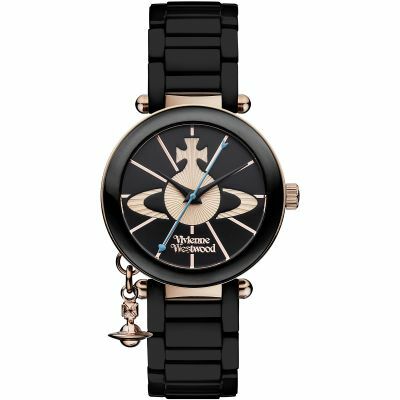 Bought this watch as a Christmas gift for my Daughter, and she absolutely loved it. The watch was a little too big for her wrist but she has had it altered and now fits perfectly. The face is a nice size, not too small or too big. The orb adds a nice touch aswell. All round lovely watch. Love the watch. Its got a bit of weight to it so its not flimsy, but not too heavy that you get the I cant wait to take this off feeling. Im not personally into labels and I like the fact that its not instantly obvious that its a Viv Westwood design. Its simple yet elegant and just what I was looking for. 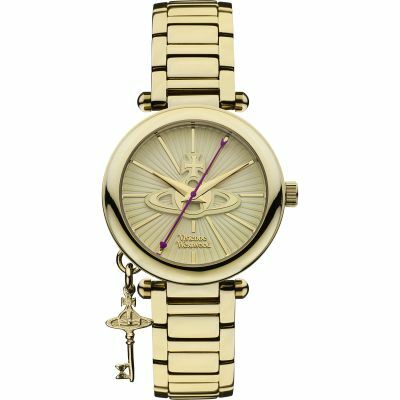 Bought this watch as a Christmas present for my daughter and its such a lovely watch and very impressed with the delivery service it was 24 hrs without any hassle whatsoever. Superb quality watch for my wifes Christmas present. Hassle free shopping with the watch shop and they have exceeded my expectations. Spot on ! Very nice watch, well priced its a christmas present! : very impressed with the watch though. Great service and speed of delivery. The watch looks even better in real life than it does in the pictures. It is a beautiful thing with stylish design and a weight that gives it a stamp of class. 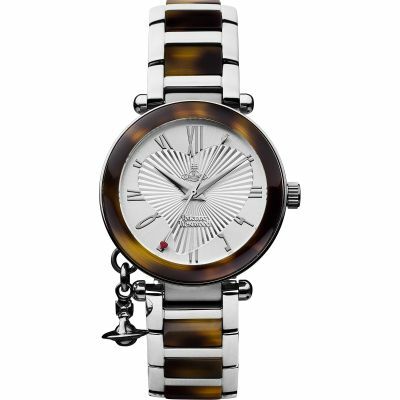 This is not a delecate little ladies watch but something that people will notice and talk about as striking and unusual. It comes with a high quality fastening which is reassuringly robust giving confidence to the owner. The packaging created a sense of real anticipation of something special and the final reveal didnt disappoint. My wife was stunned by it as a perfect part of her 50th Birthday celebrations. I am very pleased with the watch it looks even better than the picture on the website. grate watch. good quality. very quick delivey. thank you. very happy with puchese. Bought as a gift . Absolutely gorgeous watch. Stylish, feminine and quirky without being over the top. Not really bulky like a lot of watches seem to be these days. Excellent quality and exactly what I thought I was buying. Made from heavy good quality material in the strap in an excellent presentation box. An ideal birthday present for the one you love! 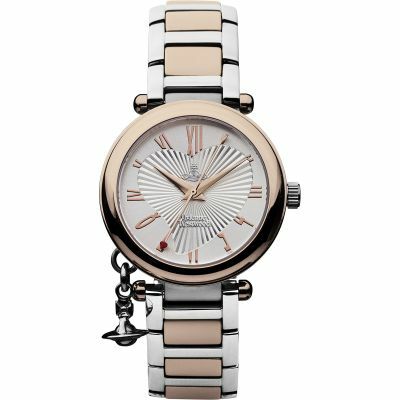 A pretty, elegant and stylish watch, which my wife is very happy with. The pendant addition serving to make it unique and a talking point when spotted by others. this watch looked lovely on the web page of the watch shop but looked even more stunning in the flesh. very well packaged even the box was of good quality. 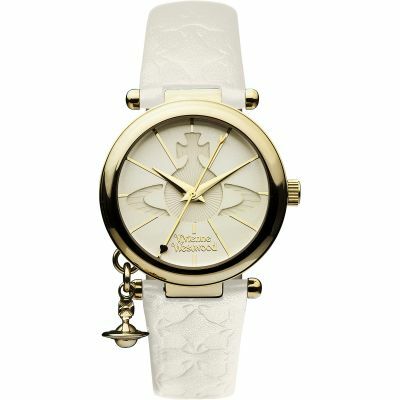 It is a really pretty watch, the reason for me to buy this watch because of the brand. i love vivienne westwood very much. 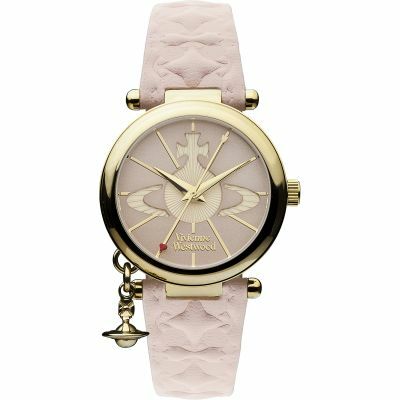 The ladies vivienne westwood watch is absolutely what we imagined it would be . Watch was fantastic and looked even better in the flesh. Looks even better than on the website, the detailing on the face is beautiful with the cute little red heart on the tip of the second hand completing the overall effect. I wondered if the hanging charm would be annoying but it is positioned perfectly. I love it! Realy realy pleased with the watch it was for my dauters 40th Bithday and she was very happy with the style and how it fit , very good quality . Many thanks . Looks fabulous and Im sure my daughter will love it! In fact, I d love it for me!